A great post by CNET blogger Tim Leberecht taken from Matter/Anti Matter. Innovation isn’t limited to R & rooms anymore. The Web 2.0 movement–powered by start-ups such as Twitter, Malhalo and even YouTube, has proven that innovation often happens in iterations. Build, launch, tweak, measure, repeat. Digital experiences seem to be ‘always in beta’–learning and evolving along the way. The idea of being in beta has become a broad cultural phenomenon. 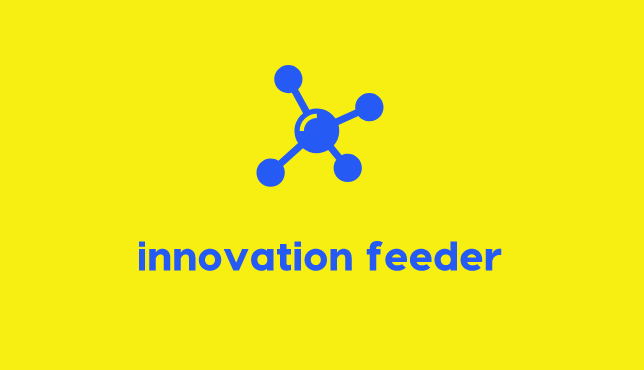 Many new products never make it beyond trial stage, and the trial and error beta-approach that helps Google and other alpha innovators to out-fail and thereby out-innovate the competition, is as much an attribute of successful organizations as it is a sign of our time. But it’s not only analysts and conference organizers who are switching instantly from micro to macro, picking up nascent trends and elevating them to a must-deal-with core competence that transcends the current fad (just see all the Facebook conferences that are mushrooming right now). What I find even more interesting is how the media and blogosphere deal with it. If everything’s in beta, the public doesn’t have the patience anymore to wait for the alpha. As the media are increasingly forced to immediately widen the scope and view every innovation in a larger context as it occurs, the boundaries between reporters and commentators, bloggers and industry analysts are fading. Some examples: Not too long ago, Twitter was all the rage, and it was stunning to see that just shortly after the initial coverage during SXSW in March, reporters were already elaborating on the concept of micro-blogging, wondering what the new “radical transparency” meant for business. Nowadays, there is a great chance that you will stumble upon a Facebook story when you open just about any publication: It’s Facebook vs. MySpace, the implications of social networking on the borders between work and personal life, reflections on the “Facebook economy,” Facebook vs. iTunes, and maybe a philosophical piece on Facebook “as a post-modern book” or the future of social networking, which, for TIME, equals the future of the Internet. It is only a small step from MySpace to the “MySpace generation,” and from Facebook to the “Facebook generation” and then to the “Fakebook generation.” Similarly, the recent buzz around Radiohead’s “pay what you want” online release has instantly led to the coining of a “Radiohead Generation” and praise for the band “as a pioneer of the digital revolution.” And there are hundreds of articles discussing if Radiohead’s decision ushers in the definite end of the record industry. The stories about the radical distribution model appear to eclipse the actual music on the album–in this case, too, the reviews are in before the story is told. Evidently, the media need to cope with the current while also putting forward a vision for the up and coming. The time between observation and conclusion, between description and prediction, however, has shrunk to almost zero. There are no more lapses between news, analysis, background story, industry trend story, and intellectual dissection; they have become one and the same, at the same time. Not only is beta the new alpha–beta has gone meta.